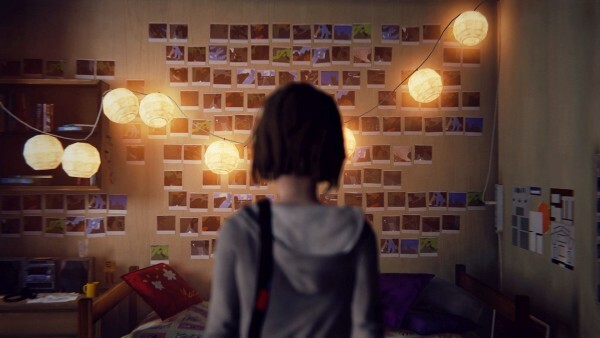 I can’t even start this Life is Strange review without worrying about how it’ll sound. That’s how this game has me: in a fluster of emotion, insecurity, and anger. This game perfectly embodies the high school experience – perhaps a little too well. While I am on in my years I remember my years in high school with a kind of clarity that set me on the path I took for college and, by proxy, the rest of my life. I don’t look back on those years fondly. When I purchased the game via the PlayStation Store I thought I was going to get a kind of Lean on Me experience that told a story that happened to kids that were in school and not highlight the school part of their lives so vividly; not only was I wrong but it felt as if part of the purpose of this game was to expose the player to a side of high school social life that the developers felt wasn’t talked about enough. However, this isn’t said to say that Life is Strange isn’t a good game or a good story: no, it’s just the opposite. What I’ll be talking about here is how you can use a good game as a vehicle to tell a compelling story that purposely goes out of its way to rub you the wrong way. 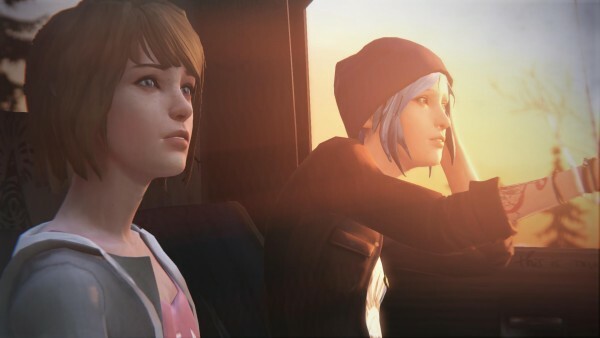 Life is Strange plays a lot like Walking Dead and other current Telltale Games features that are available: you’re in control of a central character and you move the plot along by performing a series of tasks that seem trivial so, in an effort to spice things up, they’re presented in the form of puzzles or brain teasers to give them some sense of accomplishment. Most choices that have an impact on the story are presented in a couple of different ways to give you an idea of the weight and impact they have on the story and at the end of each chapter you’re shown how other players of the game have made their decisions in their playthrough of the chapter as well as how yours fit in with those statistics. The game mechanics work well with the story and the characters and there wasn’t a moment where I didn’t feel in total control of my fate, which is rather surprising, given that puts a lot of weight on the storytelling. That’s where things get good, though: the story is well-written, the scripting is very believable, and the choices’ impacts are felt throughout the course of all chapters. For instance, there’s this friend of yours who has zero impact at how the story progresses and she is constantly put in a position of minor danger and throughout the course of the season you can save her from these dangers; while your game may not be directly impacted by how successful you are in helping her, she comments directly on it on the last episode and just puts you through all kinds of guilt depending on how well you did towards that. There’s a lot of depth here and every character has some weight on the story and how things progress, no matter how minor of a role they play. There’s a huge focus on the power the main character comes upon through the course of the story and the impact it has on the main character but there’s a few things missing here: there’s so much focus on the characters in the story that it feels almost as if the power was just shoehorned in to allow the storyteller to tell the story they wanted to. While the story is very well written – albeit the execution is a sore spot but I’ll get to that later – it’s also piggybacking on something that’s never fully explained. The characters sit down and they determine themselves that they’ll figure out more about it but they would rather muse about topics that may or may not have to do with it and break it down to the basic values of how it affects the gameplay: too little use bad; too much use, even worse. And that’s pretty much the end of it all. You never learn why our heroine got the power, how it affected her, what the purpose of that power was, or whether or not it had a greater affect on the grand scheme of things… it just felt like a red herring to drive the character-focused plot and, as such, feels extremely hollow. One more thing that I didn’t overtly like was the ending of this game: I won’t go to spoil anything but you’re left with this feeling of helplessness – which, I believe, was intended, but again, I’ll get to that later – and emptiness that leaves you wondering if you shouldn’t have ever done anything at all, including playing the game. It gives you that sense of weirdness that you get when someone who’s older than you tells you to do something that seems trite and stupid because “it builds character” but then you realize that you were no better off for having done it. I have a chip on my shoulder about this game, if you haven’t noticed by now: this game feels as though I was being condescended upon through the entire story. While the game’s events and dialogue are extremely well written it feels as though there’s a lot to the story that were there just to appeal to people or to sell the game. 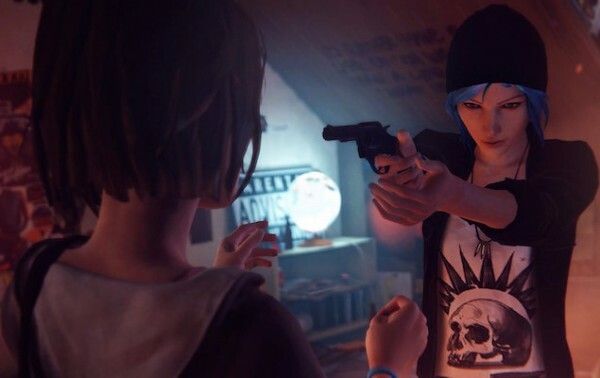 I can almost hear someone in development saying something like this: “No one’s going to buy a game about female high school bonding and social ostracizing: we’re going to need to add in something in order to make sure this game sells.” That something is the whole thing revolving around Max’s powers and visions. While they are the raison d’etre for the entire story, it feels as though, by the end of the season, that there was no real reason for it to be in the story by the end of things and you’ll just have to play it to find out why. It’s been a very long time since I’ve had regret completing a great game. It works awesome as an art piece, as well, in the industry, even if I come to dislike the main message that was expressed and how it was presented. I'm just a guy with a deep, deep love for gaming, writing about gaming, gaming music, and all kinds of things related to gaming. I've been writing as a columnist, a freelancer, and as administrative staff for various online blogs and zines for four years, officially. I consider myself a master of the unpopular opinion: you may not like what I have to say but, quite often, I am right or, at the very least, willing to discuss.